A child bride, Sara Winchester had grown into a winsome beauty, joyfully anticipating the day when her husband Nathan, Marquess of St. James, would return to claim her heart at last. Charmingly innocent, she dismissed the ancient feud that divided Nathan's family from her own...and she was totally unaware of his past exploits as the notorious pirate, Pagan. The man who now stood before her was perplexing, arrogant and powerfully handsome...a warrior-gentleman whose gentle touch aroused her to the wildest, deepest pleasures of love. Nathan had never bared his soul to any woman, but he was soon utterly beguiled and exasperated by Sara’s sweet, defiant ways. Aboard his ship, The Seahawk, she was brave, imperious and determined to win his heart completely — yet upon their return to England, her love would be sorely tested as a vile conspiracy tried to tear them apart. With their future at stake, they would discover the true destiny of their passion...for all time! Susan Duerden is wondrous!!!!! 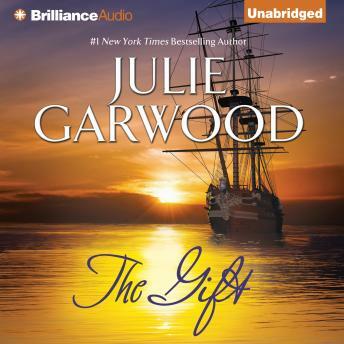 Julie Garwood is my favorite writer. I didn't like this book initially, but when I heard the narration of Susan Duerden, I really loved! Susan has the ability to make us fall in love head over heels by the characters of the books she narrates. Narrator was very distracting. Really wished she could speak in a normal voice. All the heavy breathing, breathy whispering. Encountered this reader before. Not good. Thought I'd give it anothet try. She ruined the book. Narrator did a good job read castles next.